We can appreciate the competition out there in the flashlight business. Folks are constantly looking to outdo each other on output and functionality. 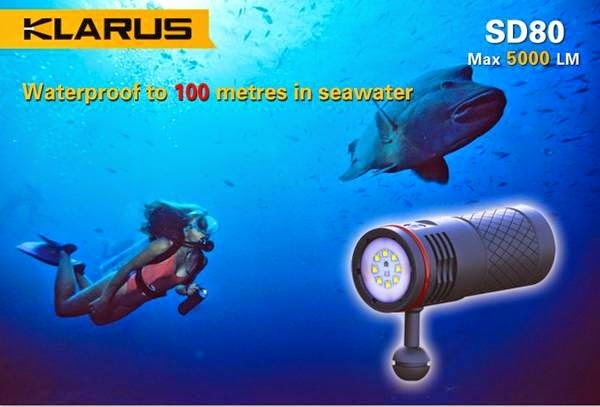 Klarus has just introduced their first diving light with the SD80 that pumps out up to 5000 Lumens featuring waterproof functionality down to 100 meters in depth. 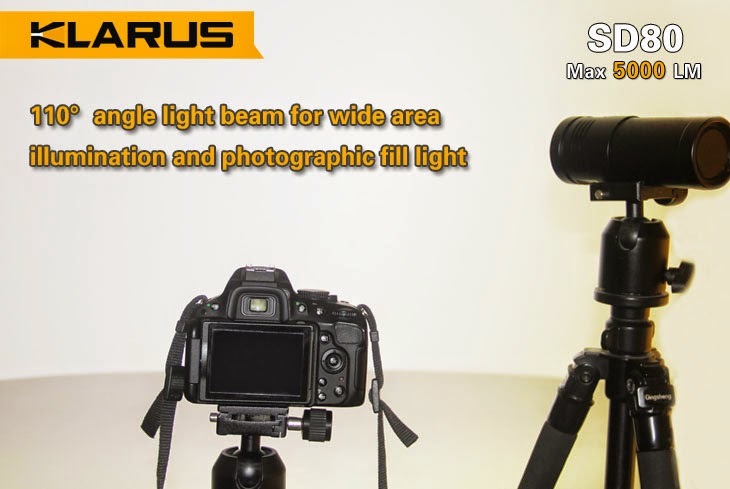 The SD80 has a 110 degree illumination covering a broad area and works perfectly as a professional photographic light. The flashlight runs on four 18650 or eight CR123A batteries. A 4mm toughened ultra-clear glass with diamond coating provides superior strength and waterproof under high compression. 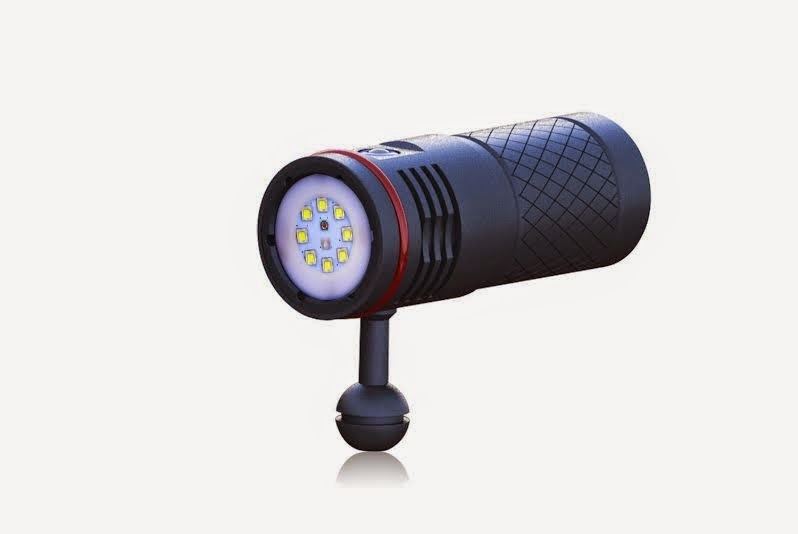 Two brightness settings include 2500 and 5000 Lumens and three additional modes include UV, Red, and Mixed Light. The Red LED for offers underwater contrast at depth and the UV light provides a transparent appearance to sealife. A side switch provides for easy one-handed operation. You can expect the SD80 Flashlight to retail under $400.